​Drive down to Sde Boker late afternoon or early evening. There is a Black 4x4 trail just before Midreshet Ben Gurion. Take the left and drive down into Zin Valley. Set up camp at the Hod Ekev campground. You can find it by using the App What3Words and typing in the location afternoons.magistrates.conjunction. It is on the right side partway into the valley. Set up camp, enjoy a fire and some music. 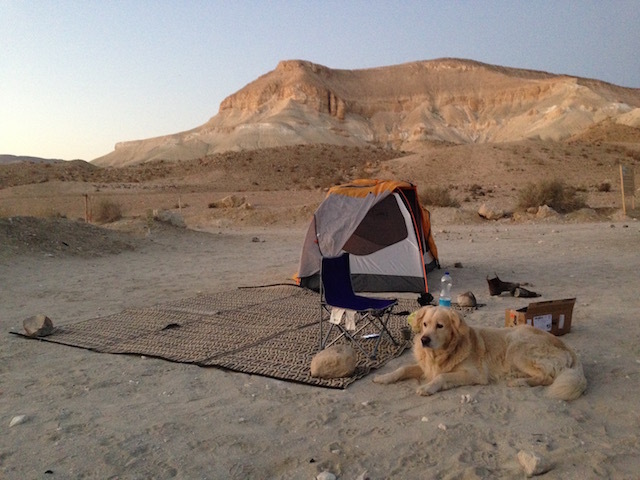 Next morning tear down an hour before sunrise and start walking to the Ein Ekev Oasis. It's very easy to get there. Head back on the road that you came from the night before. Almost immediately after you start walking there is a Red trail cutting to the left that is part of the INT. This will take you up a tough ascent and lead you right to Ein Ekev. Coming back if you don't want to retrace your steps take the blue trail back. The blue trail terminates at a T junction which is the original road that you took to get to the camp site. Turn right and you'll get back to where you left the car. Read a detailed description of the classic Ein Ekev hike. An alternative night camp which is much closer to the Ein Ekev oasis is located (using What3Words) at explain.elitist.heavily shown below. The difference is that it will be a bit more challenging to drive there if it's already dark. It is a short walk from the oasis and (or but) you don't get to have the big ascent. and (4) you will be back to the Mercaz by early afternoon the next day.